Outstanding "Great hotel, great service"
terrific hotel, centerally located, just a short drive to the sights in Angkor - beautiful decor, huge rooms, large batthrooms, excellent service, spa very pampering and excellent beauty care and massages,swimming pool large and beautifully situated, very good and varied breakfast - excellent hospitality !!! 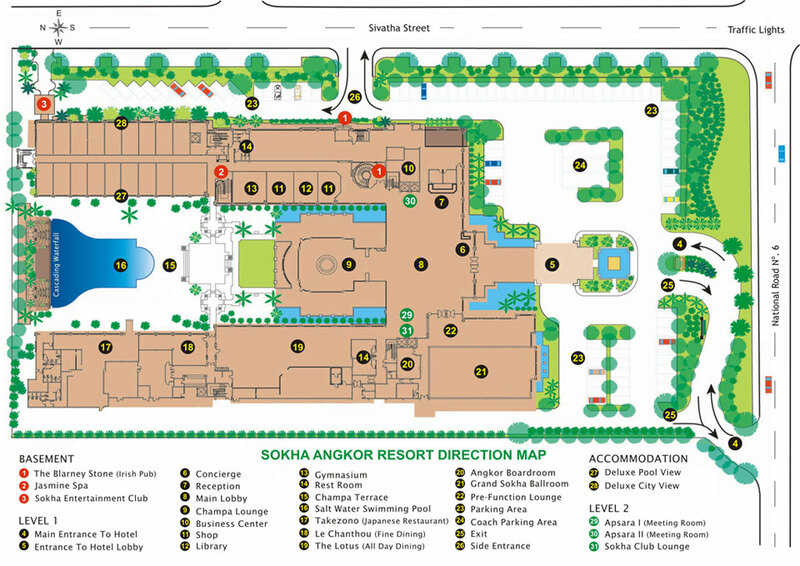 A fantastic hotel located in the outskirts of Siem Reap with walking distance down to "doentown". Located along the road to Angkor Wat. Spacious rooms, fantastic garden/ pool area. Excellent service and a fantastic breakfast. All rooms have balconies, our overlooked the pool area and it was very quiet to sit there at night. All in all a fantastic hotel which I would not heseitate to come back to. Just back after a 2 night stay at the hotel at the end of a spectacular tour of Vietnam & Cambodia with APT. First impression is "wow"!. Professional greeting by the staff as you leave the bus and enter the hotel, a quick and efficient check in with many smiles and an air of professional hospitality was very evident. Immediately one was put at ease and made to feel special. Our room was magnificent on the ground floor with a pool side view, the meals outstanding with very helpful chefs catering for disparate tastes of the clientele, the pool environment breathtaking and the spa and massage a perfect end to a gruelling but very enjoyable 2 weeks. temples, etc I would highly recommend this hotel to all visiting the Siem Reap area. My stay was very pleasant and could come again except the only negative thing which puts me to think 'maybe not' is that I had reserved 'deluxe pool view room' and my room was in the poolside but I could not see the pool from any point of my room or balcony because the pool was totally on the other end of the building. Big deception for me!